People really don’t get to see or appreciate what is going on in their own mouths. Many of us as children and young adults had our cavities filled with amalgam mercury fillings. 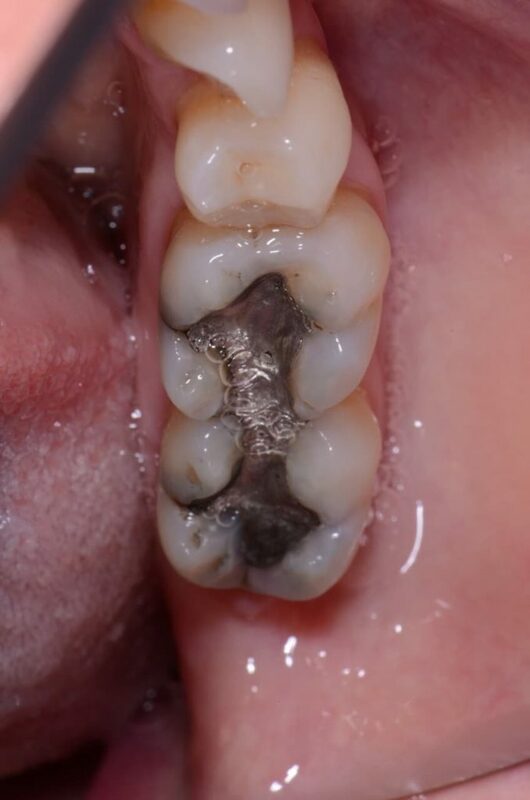 What we don’t realize is that these fillings leak from the time they are put in. The vast majority of all older mercury fillings are similar to what you see in these photos. This is our view of converting old leaking mercury fillings to 6 layer bonded composites. 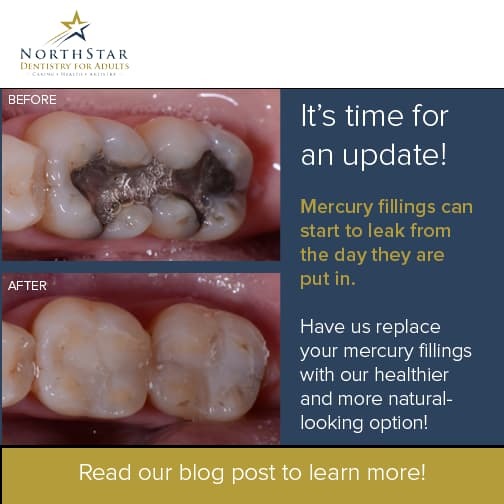 The bottom picture is immediately after removing the old amalgams– in the top picture you can see the black seepage extending into the original tooth structure–this is bacteria much like from food left out for days, it is decay, and it is metal contamination from the tin, silver, mercury, and copper compounds in the metal filling–not a good thing. The decay, bacteria, and stains are removed and a decay detection dye is used to verify all decay is removed. The exposed area is then disinfected and medicated before a 5 layer process to bond it back together as seen in the final photo–you can still see some of the polishing compound. Call your Huntersville dentist at 704-450-6500 if you would like to see your teeth healthier! !